Often in life, the little things make all the difference. A residual current device, or RCD, is one of those all-important things. Not only do they save lives when they’re properly installed and functioning, but they’re also required by law. What is an RCD ? RCDs are sensitive safety devices designed to monitor the flow of electrical current within a circuit. Should the device detect the presence of an imbalance in this current, it will immediately halt electrical supply in order to prevent electrocution. Circuit breakers protect against short circuits and overloading, but are not capable of providing protection against electrocution. The circuits within a property need to be evenly divided between at least two RCDs to allow for some remaining power in the event of one being activated, one RCD is not sufficient in the current times or in the eyes’s of the Law in certain states. Under Australian law, all new homes built after 2000 were required to be fitted with a minimum of two residual current devices. There are some variances in the laws covering RCD’s from state to state so people looking to sell, buy or rent a property should seek the advise of a local authority. Still, it’s not just important for a home to be fitted with RCDs in order to facilitate a legally compliant property. It’s also imperative to ensure both of those devices are functional and meet the current regulations under the Australian Standard 3000:2007 Wiring Rules. The best way of reaching this goal is to work with a professional electrician. Why are RCDs so Important? 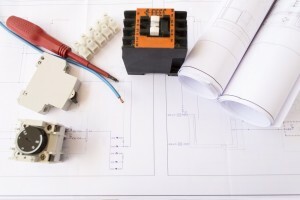 Setting aside the legal requirements regarding the installation of residual current devices, they’re still an essential part of any well-built property. Of twenty-nine deaths in Western Australia over a seventeen-year span before the RCD laws went into affect, twenty-three could have been prevented if the building in question had been fitted with residual current devices.